Slap a new camera on the Xperia XZ, et voila - you have yourself a brand-new flagship. Is Sony taking advantage of a smartphone-induced decrease in human attention span? Or just doing what everyone else does? 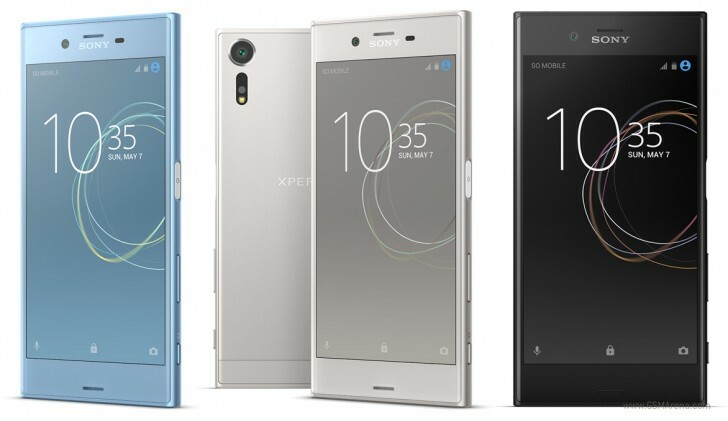 We don't think it's possible to talk about the Sony Xperia XZs and not mention the ex-flagship, the original XZ. And there's no way to argue that these aren't the same phone. They have the same good looks, identical chipset and screen, and the same stereo speakers and battery. So, how is this sequel not a copy-paste job, a deja-vu all over again? The bumped-up RAM is duly noted, but it's the Motion Eye camera that really elevates the Xperia XZs above not only the last generation, but the current crop of flagships too. It uses Sony's latest 19MP IMX400 triple-layer image sensor, with an extra memory layer that buffers image data for notably faster reading times and captures video at an insane 960fps. The Motion Eye camera is the first of its kind, and may spearhead a revolution in mobile photography - especially when it gets to high-action and slow-motion footage. It has the potential to take the experience to a completely new level. We'll get into the nitty-gritties in our dedicated chapter later on. Sony is responsible for cementing water-proof phones into the mainstream, and we do appreciate that the company is sticking to the time-tested recipe. Besides the new imager, some old-gen tech is lurking inside the Xperia XZs. Snapdragon 820 is still a perfectly capable chipset, but it’s a last year’s choice. However, Sony has been perfectly clear about the options - if you want more, you can get the Premium models, and these are the only smartphones with 4K displays. The Japanese consider QHD screens obsolete, especially when they have no dog in the VR fight. But in the end, 424ppi doesn't sound all that bad to begin with, does it? In the USA, the fingerprint sensor is a no-go, yet again. Sony reportedly made some bad contracts back in the day and now, the only way to sell phones in the States is by disabling the biometric security. There is nothing anyone can do about this, so you'll have to either deal with it or move on. That's what we're about to do anyway, and you're more than welcome to join us on the next page.